Vice President of 'Uday Siksha Evam Jan Klayan Samiti' and organizer of 'Hum Kisi Se Kum Nhi', CA Santwana Aras is one of the greatest examples of positivity and hard work. Santwana is a special child with a disorder named Spinal Muscular Atrophy which is incurable. The only part that works in Santwana's body is her right hand only from her elbow to fingers while the rest of her body remains paralyzed. 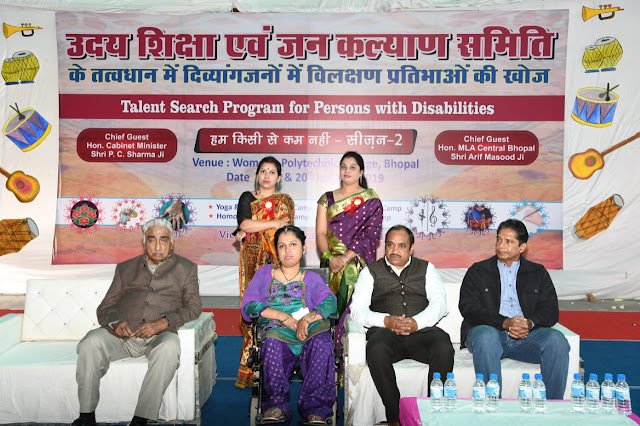 Santwana along with her few CA friends organized a talent hunt among the specially abled Hum Kisise Kam Nahin recently in the city of lakes. Spilling beans on her struggle she narrates her tale of inspiration and her journey of becoming a Chartered Accountant. Santwana was born to Dilip Aras and Hemlata Aras. “Being parents to a specially abled child was not easy. We had people nagging and taunting us on this, but we knew what we had to do and we did the same,” Santwana’s mother Hemlata Aras told Newscrust. 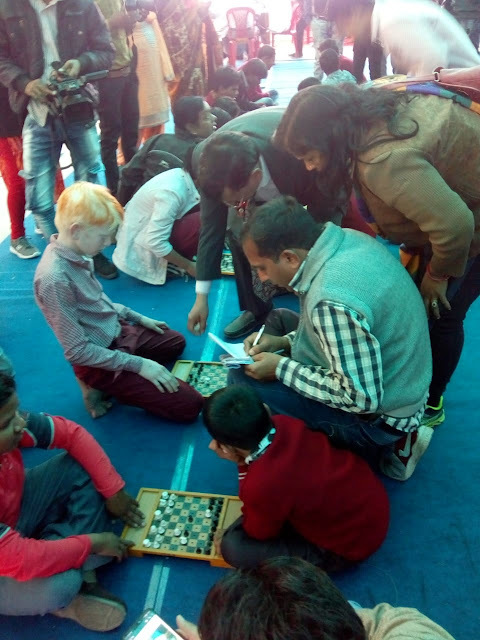 “People could only see her physical disability, but no one could actually judge her mental strength and will power,” her father Dilip Aras said. “Till class VIII my parents taught me at home and helped me groom in many fields, just like a normal child. Later, by the recommendation of my father's friend I was admitted in Dr. Radhakrishnan School where I studied till class XII, and always scored a distinction,” Santwana said. “'Since she is paralyzed and can only move her one hand that too onlynfrom her elbow to fingers we used to open the cap of the pens for her during examinations and we all didn't give up ', her father said. “Since childhood, I wanted to become a doctor. However, my condition did not permit me to attend regular lectures or attend practical,” Santwana said. She later decided to pursue her career as a Chartered Accountant and sought admission in Sarojini Naidu Government Girls PG College, Bhopal and continued her education in B.Com. She took this as a challenge and alone walked on this path alone and commenced with her preparations to become a CA. “After a long struggle when I finally became a CA, I faced a new challenge. None of the reputed CA firms wished to take me as an intern for article-ship. Without article ship I could not fulfil my dream of becoming a CA,” she said. 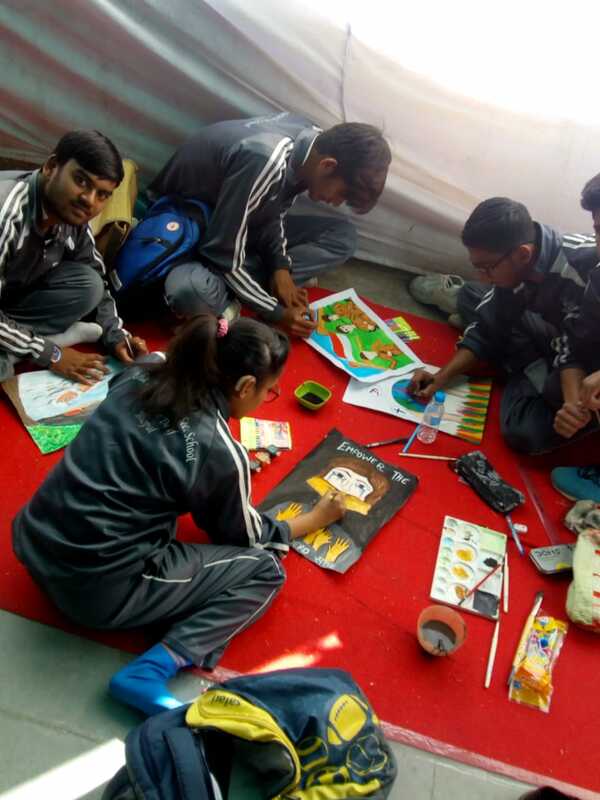 Later, however, Santwana got support from various CA's as senior CA Kishore Chawla who is also her company partner presently, CA MANISH, CA NAVEEN as her helping hands. In 2013 when these friends of Santwana united together and thought of doing something for welfare of society, they started an association with their personal interests and funding and till now no funds are offered by the government to them but they all are running it on their own. The first season of 'Hum Kisi Se Kum Nhi' was organised on 25-26 February 2018 at Women's Politechnic College, Shivaji Nagar. The program got appreciated and thus it will run a long race. 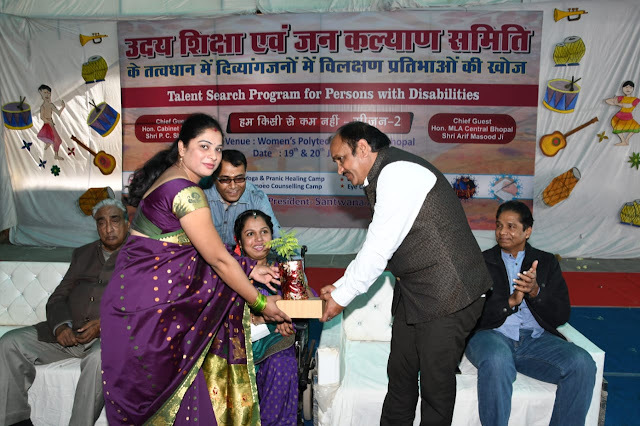 3) Proved at every stage of her life that she is not physically challenged but is mentally blessed and knows her worth. That's how keeps herself motivated and She is progressing and bringing smiles and worthiness in people who are like her.